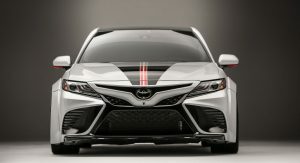 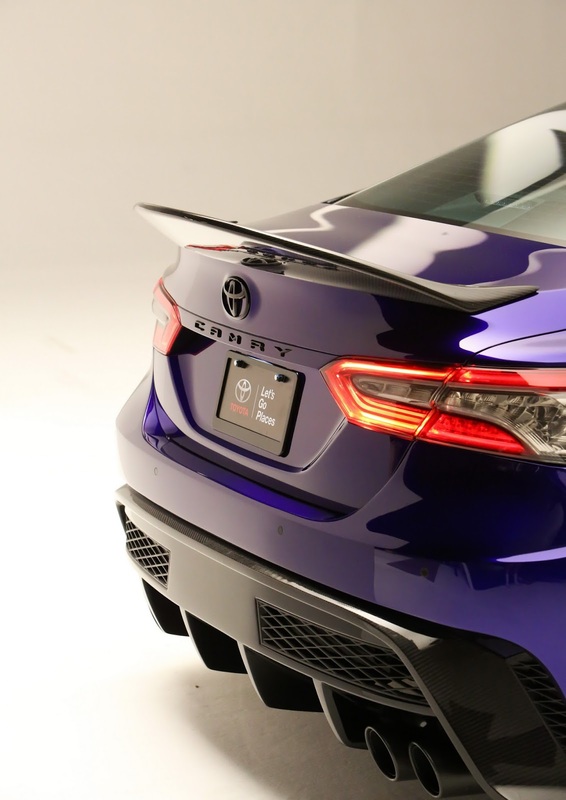 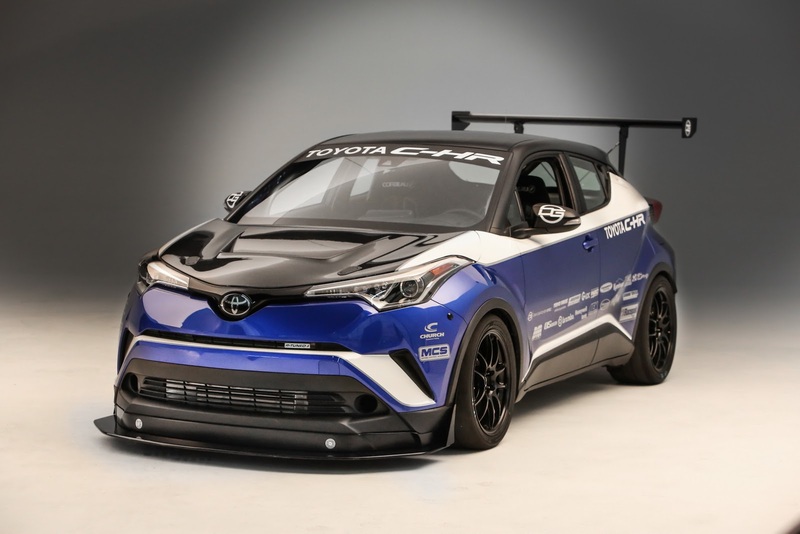 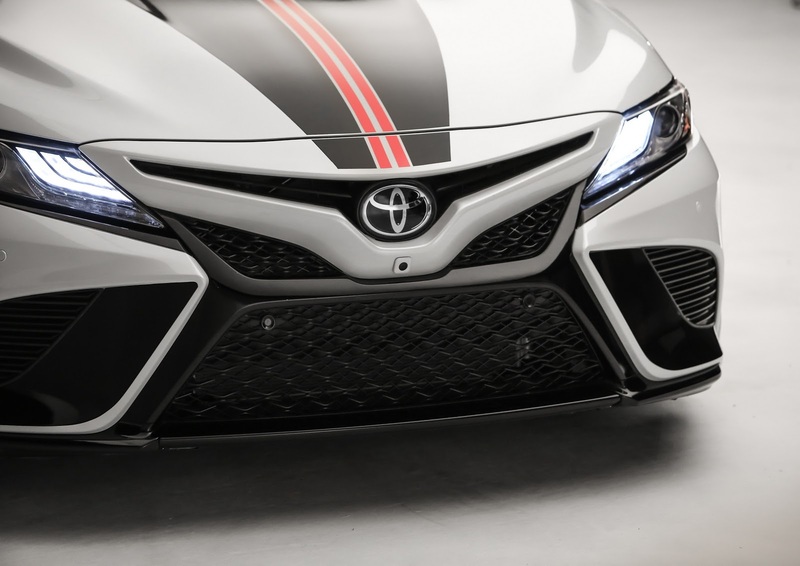 Even though there are 18 vehicles on display at Toyota’s 2017 SEMA Show stand, the focus has clearly been put on the all-new 2018 Camry and this race-tuned C-HR crossover. 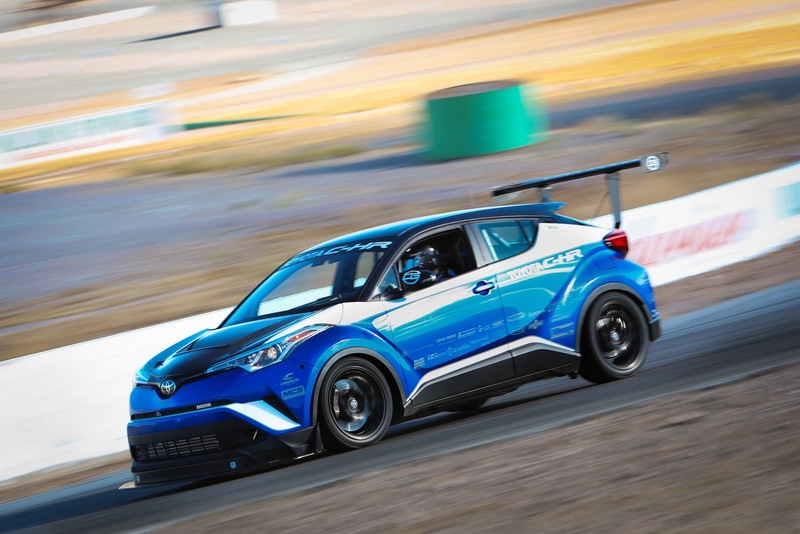 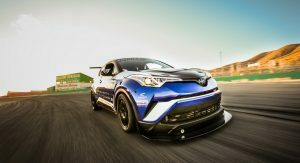 Believe it or not, the latter is no gimmick, and Toyota is already calling this heavily-modified C-HR “the world’s quickest CUV”. 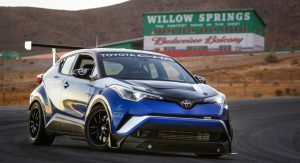 In fact, it lapped Willow Springs faster than a McLaren 650S Spyder, a Porsche 911 GT3 RS and a Nissan GT-R NISMO. 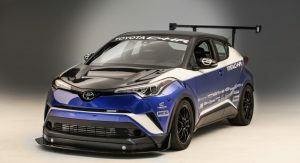 As for the Camrys, top NASCAR drivers Martin Truex Jr, Kyle Busch, Denny Hamlin and Daniel Suarez each designed their own cars for SEMA, as did racing analyst Rutledge Wood. 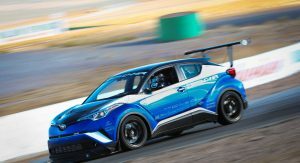 Since there are a lot of Camrys to talk about, let’s kick things off by detailing the C-HR and explaining just how Toyota managed to make it quicker than a supercar. 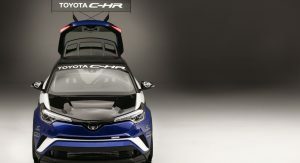 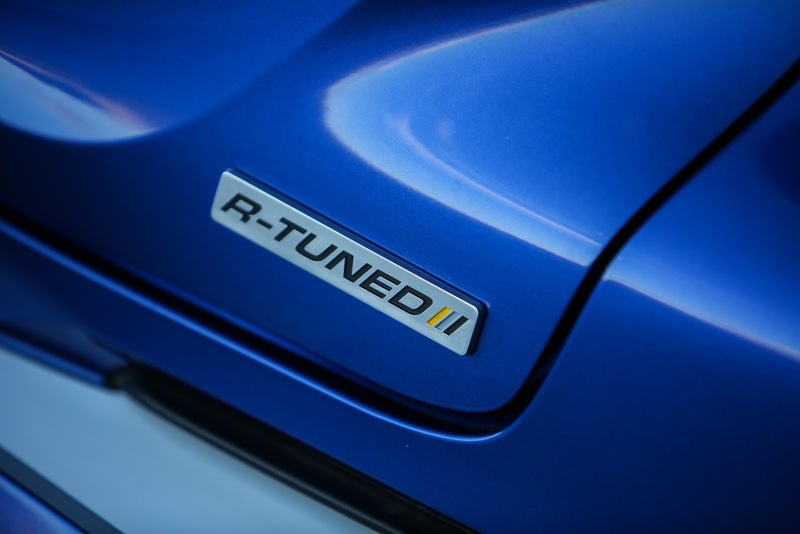 The C-HR R-Tuned, which still features a 4-cylinder engine and front-wheel drive layout, has underwent a full engine and transmission swap, while a custom turbo system (23 psi boost) pushed its power output to 600 HP. 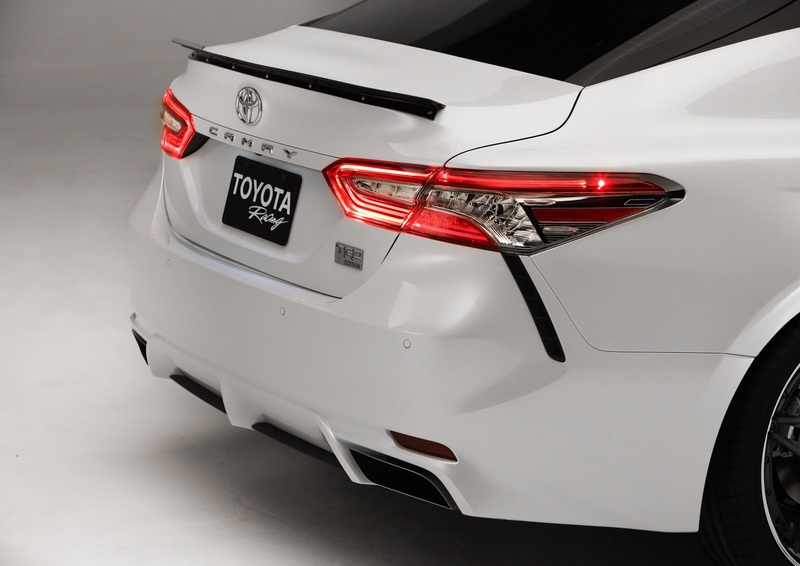 Meanwhile, aerodynamic mods produce 300 lbs (136 kg) of downforce as the car is also able to generate 1.2 g of braking force and 1.7g of lateral acceleration. 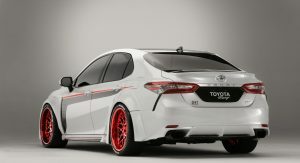 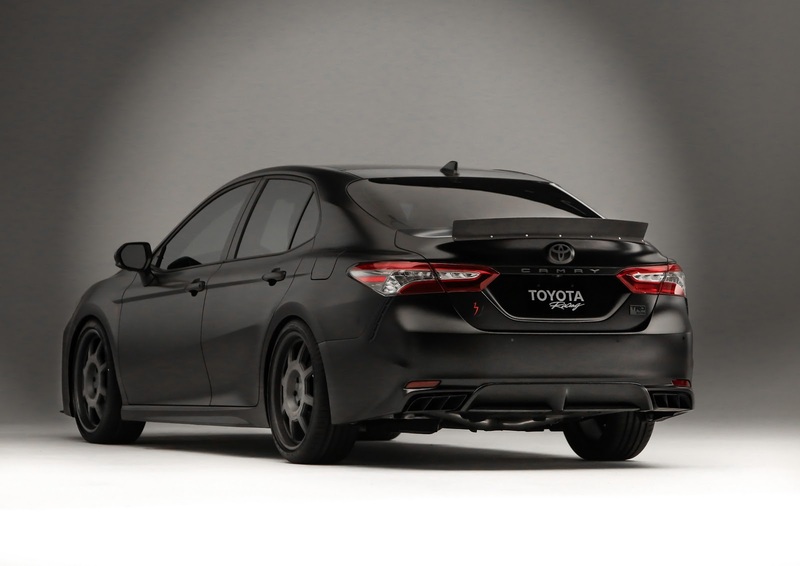 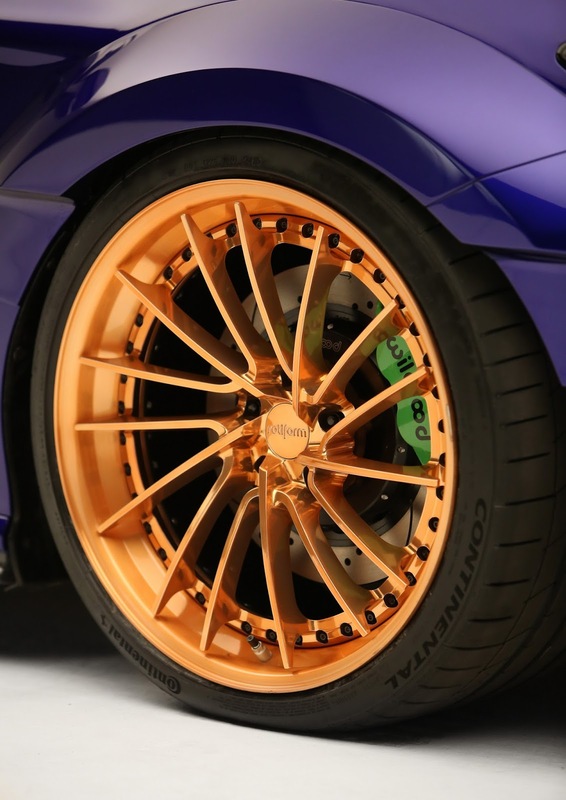 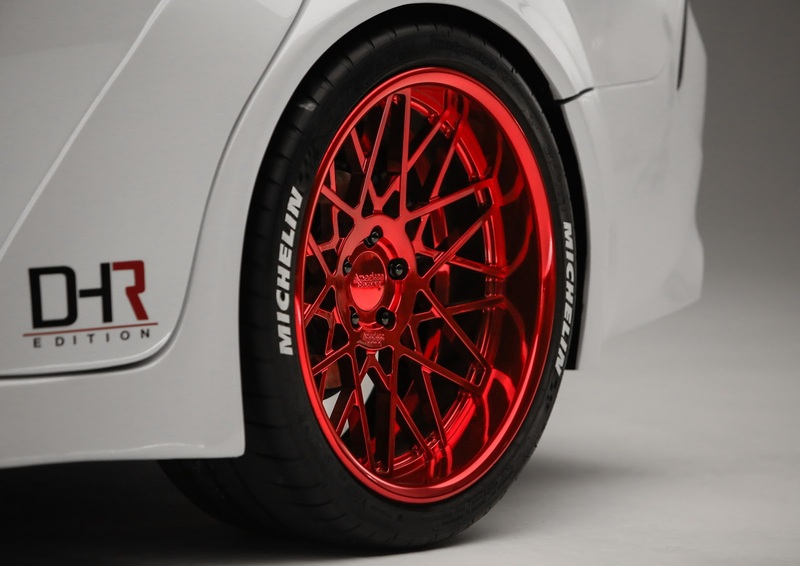 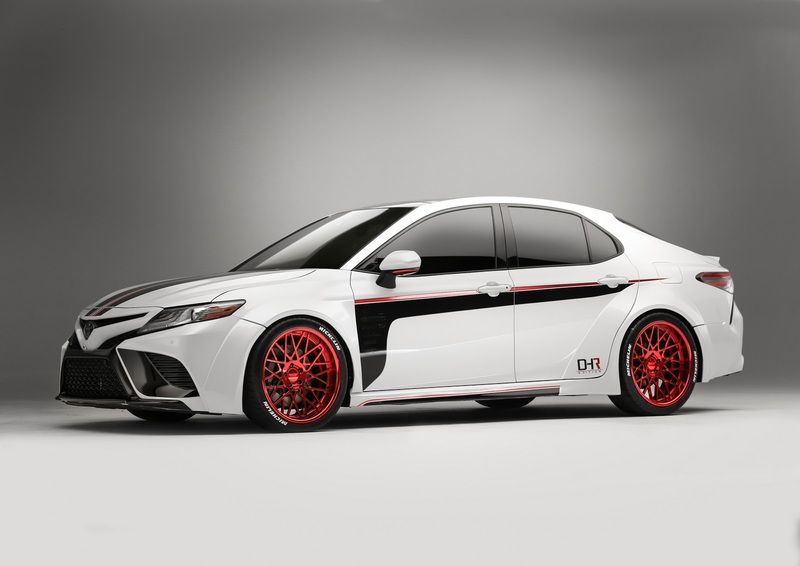 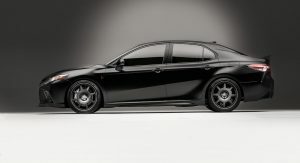 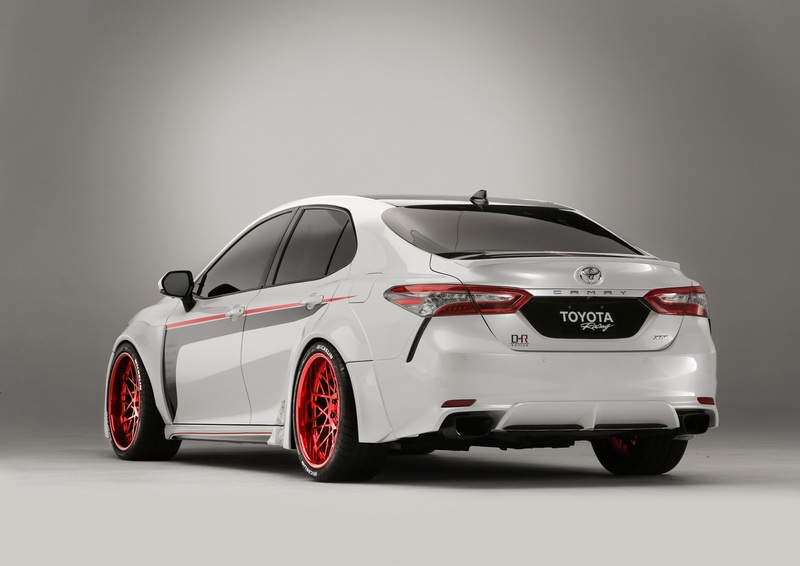 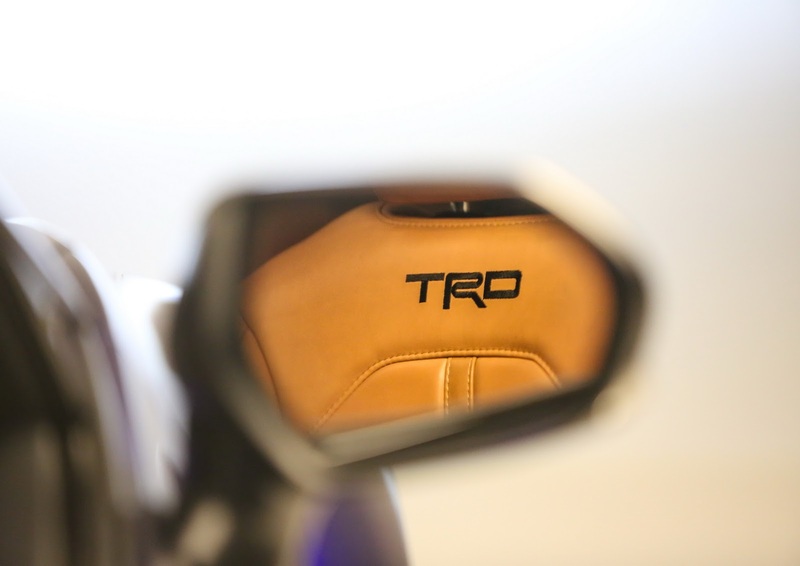 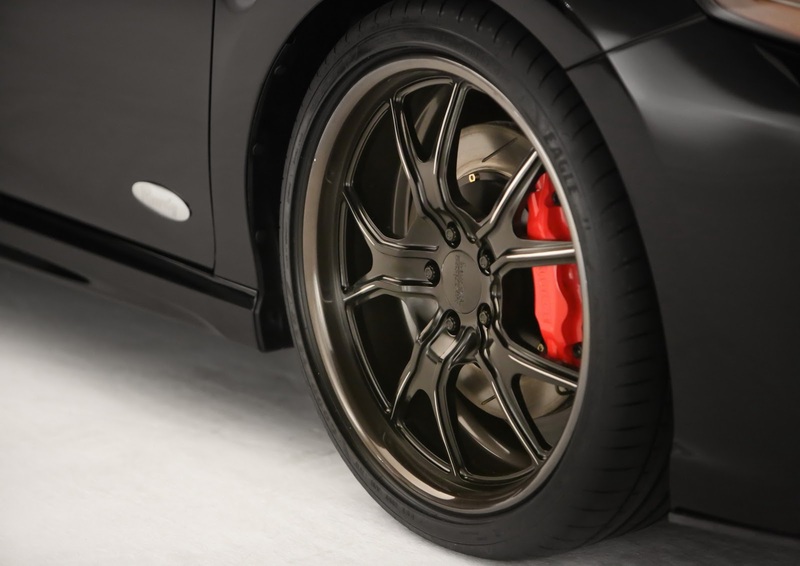 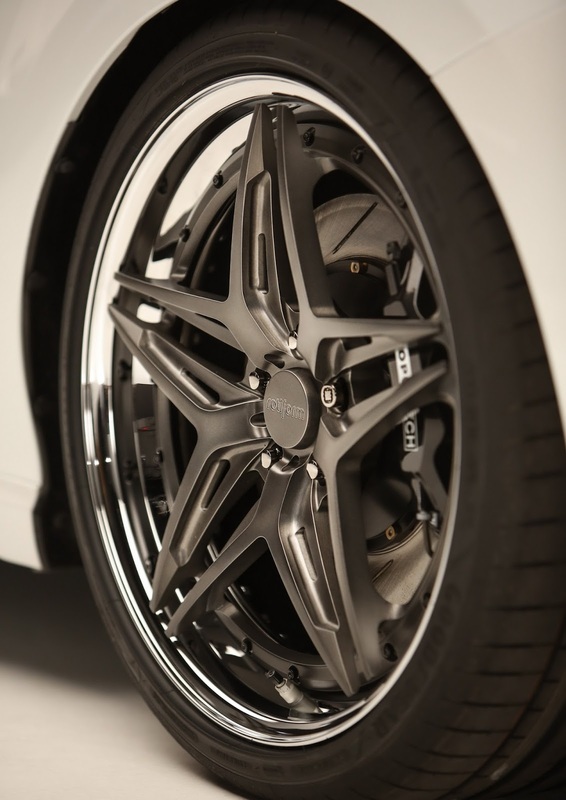 Other mods include Brembo racing brakes, Toyota race tires and a triple-adjustable DG-Spec Motion Control Suspension. 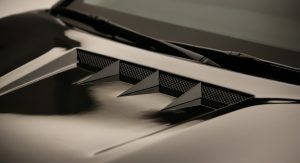 Add everything together and you get a 0-60 mph (96 km/h) acceleration time of just 2.9 seconds. 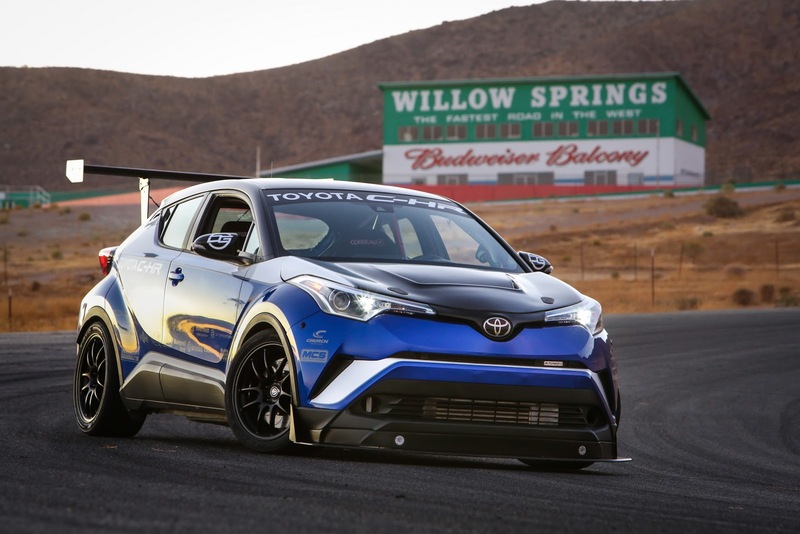 As for its incredibly impressive Willow Springs lap time, it was 1:25.22. 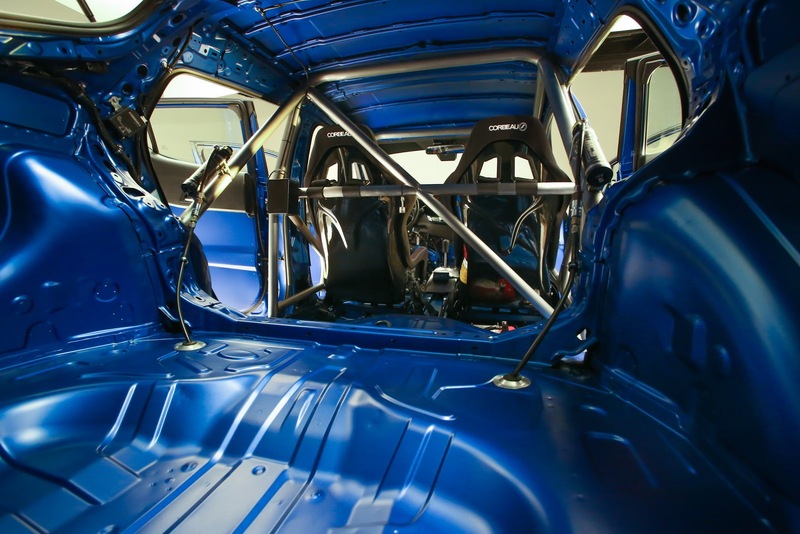 In order to get this car ready for SEMA, 2015 NASCAR Sprint Cup Series champion Kyle Busch teamed up with designer Chuck Gafrarar and you’re looking at the end-result of that collaboration. 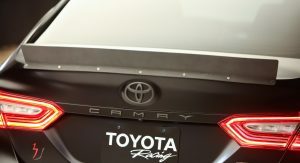 Busch branded this car the ‘Camry Rowdy Edition’. 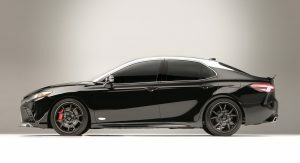 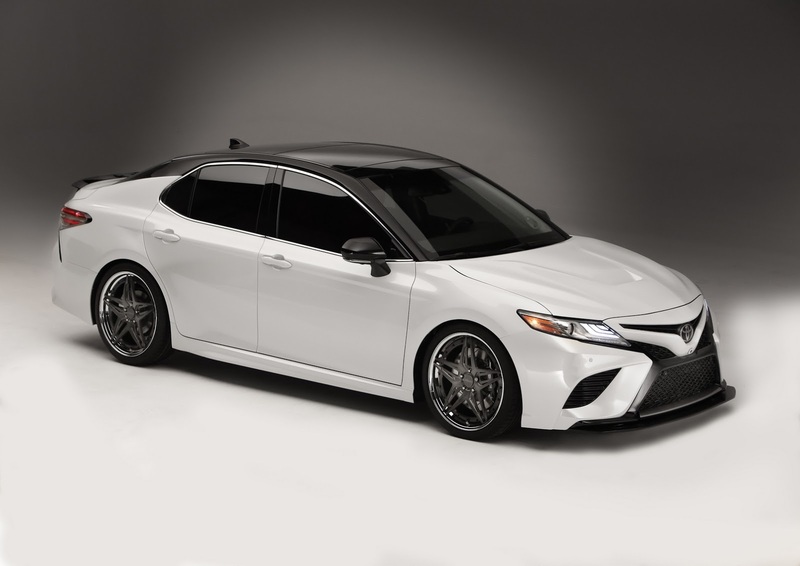 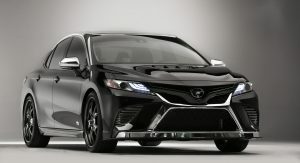 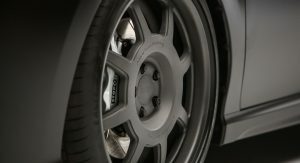 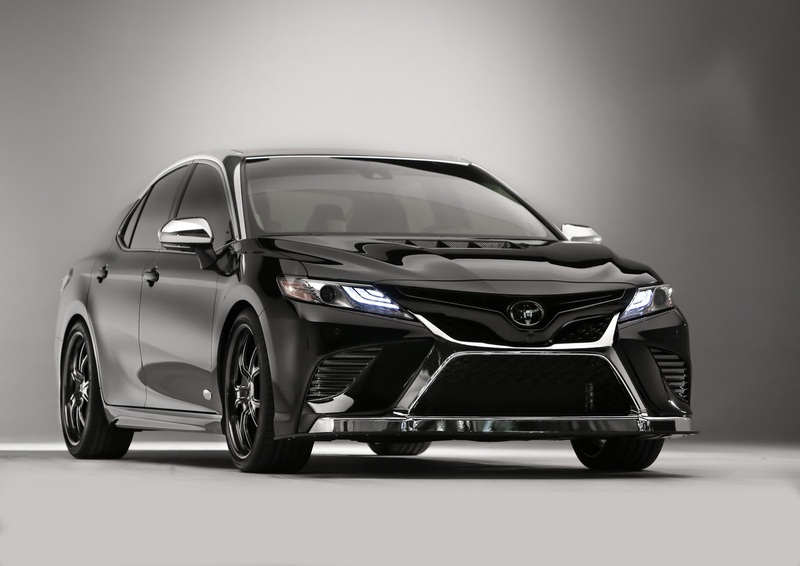 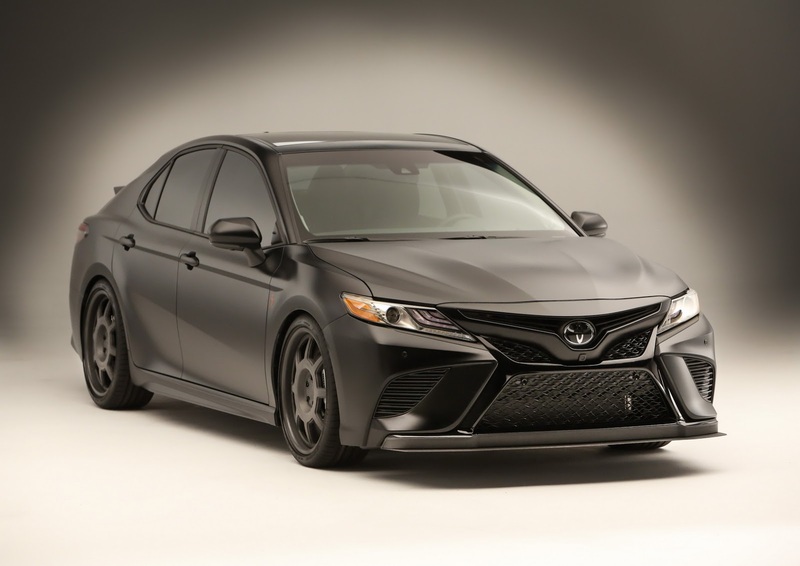 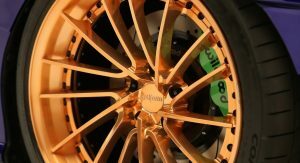 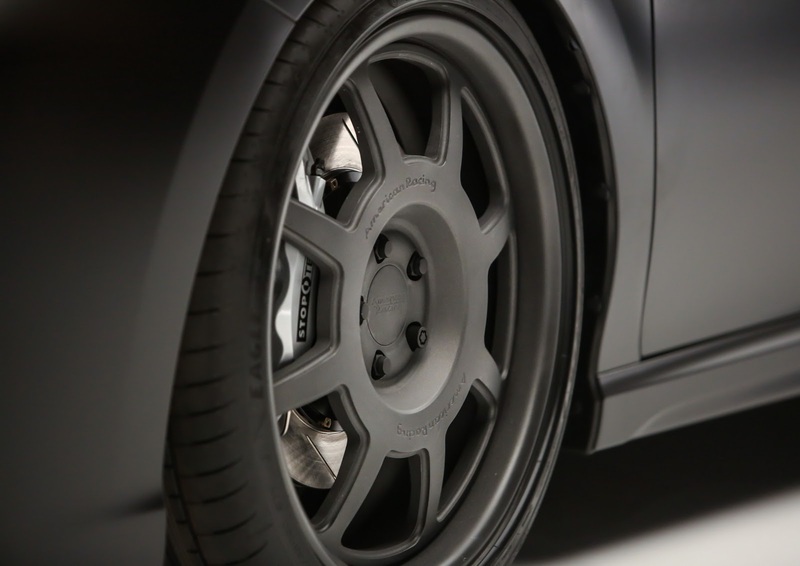 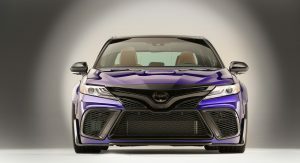 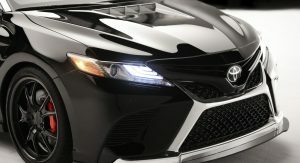 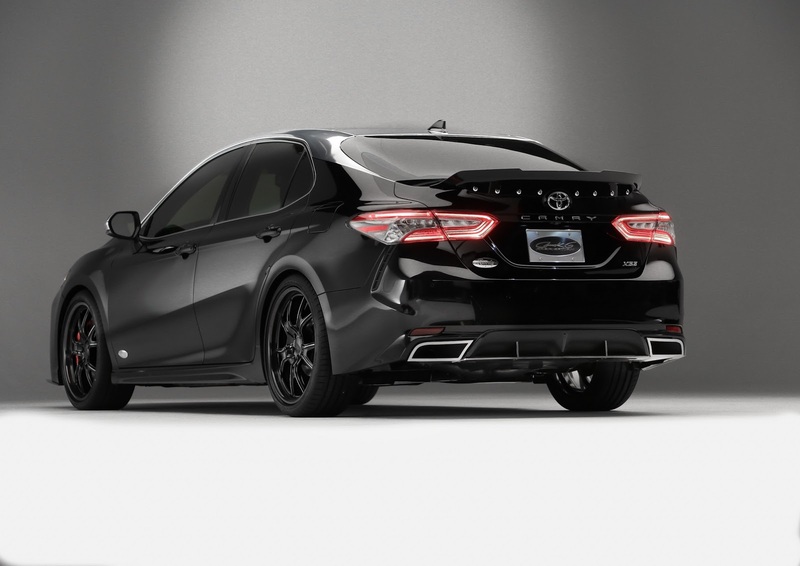 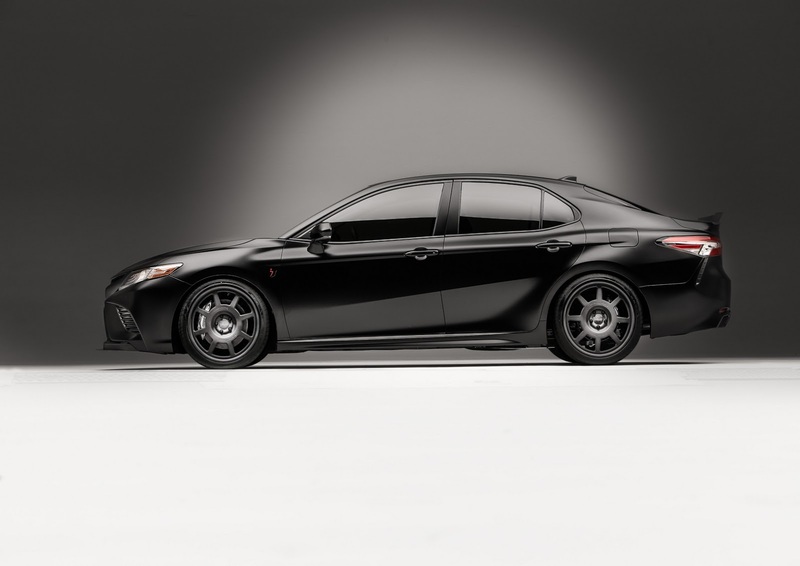 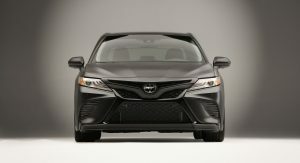 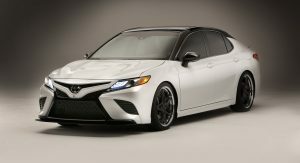 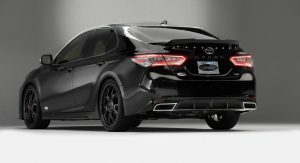 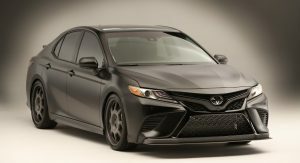 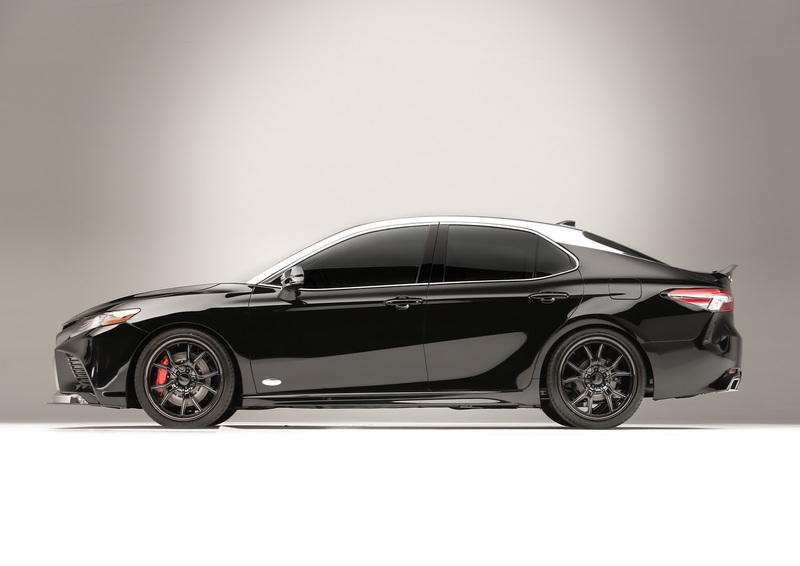 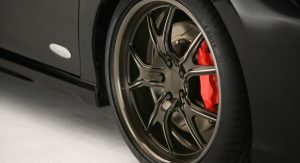 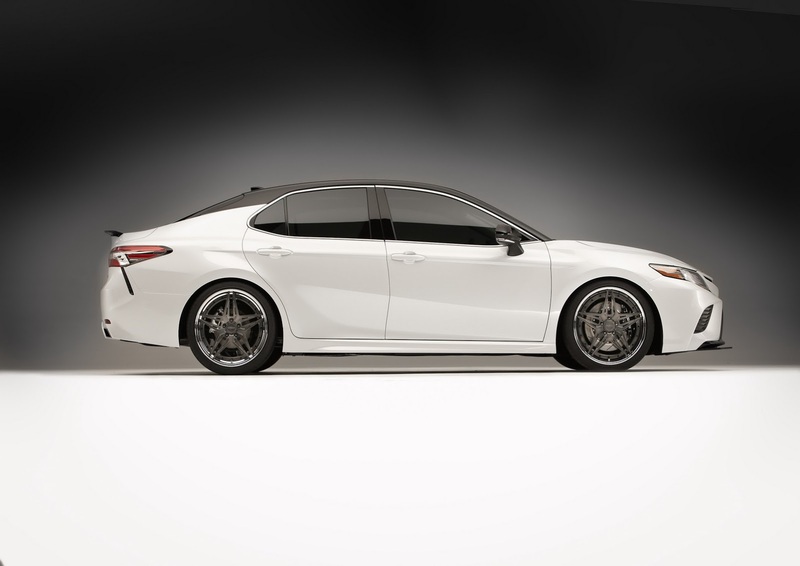 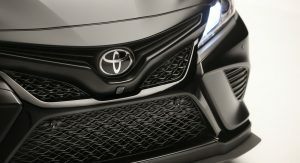 What makes it stand out compared to a regular Camry would be the 20″ forged custom wheels, not to mention the black-themed exterior. 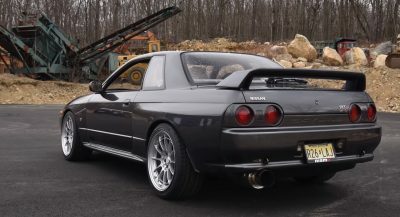 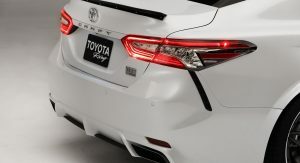 The car also has a bare metal finish on the handcrafted rear wing, front splitter and rear diffuser, and a chrome wrap over the roof and A-pillars. 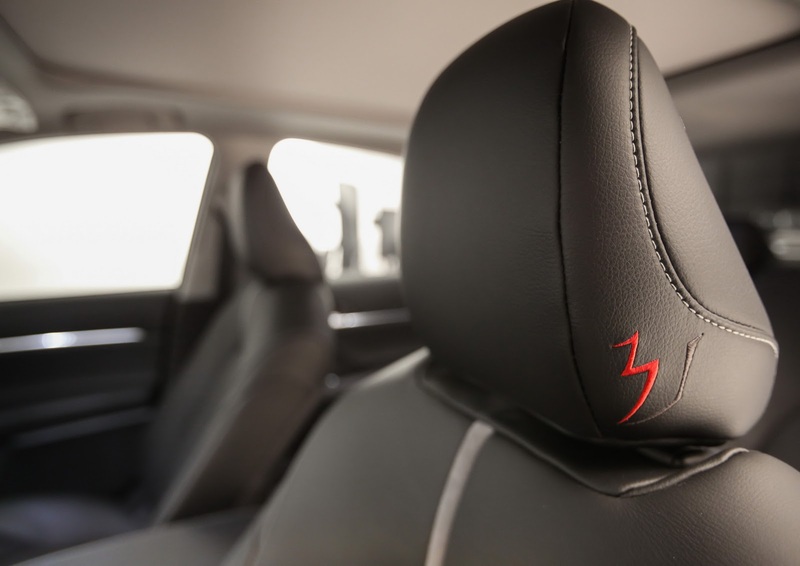 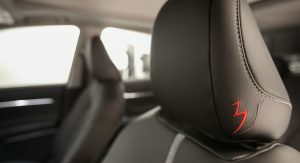 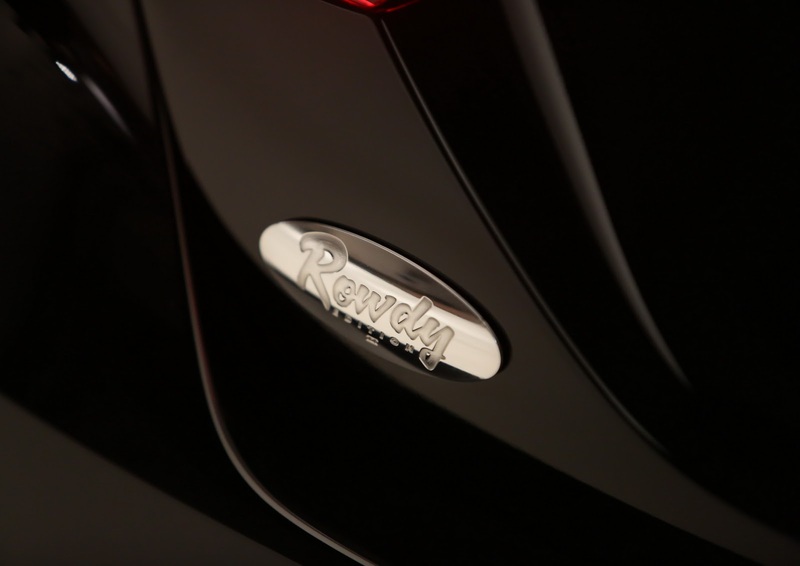 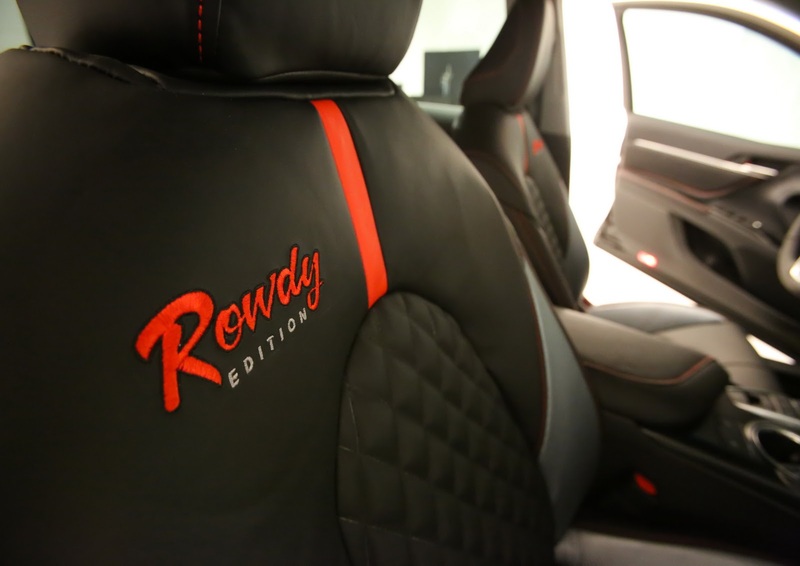 Inside, it’s got a custom leather upholstery with red stitching and Rowdy Edition logos. 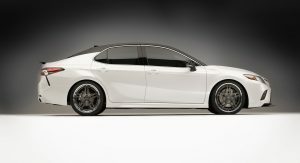 It definitely looks sporty, for an every-day family saloon that is. 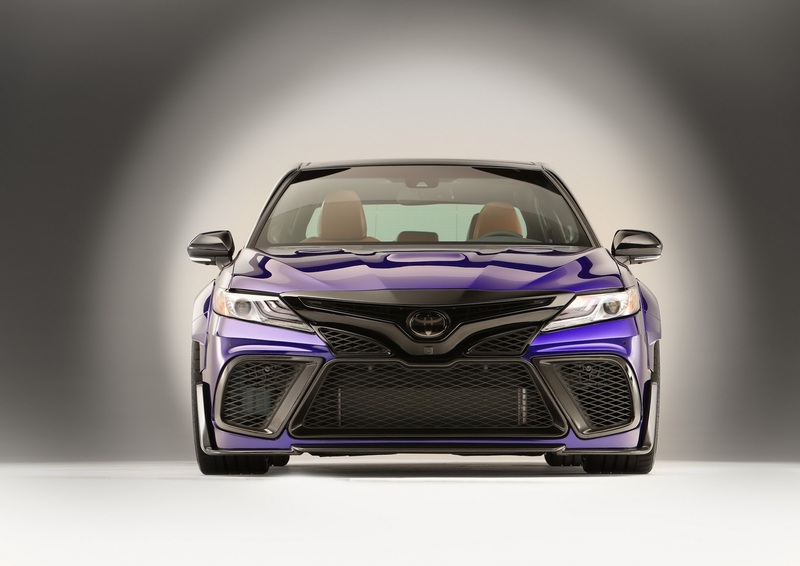 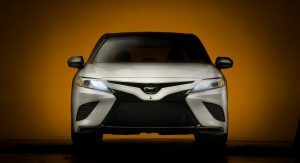 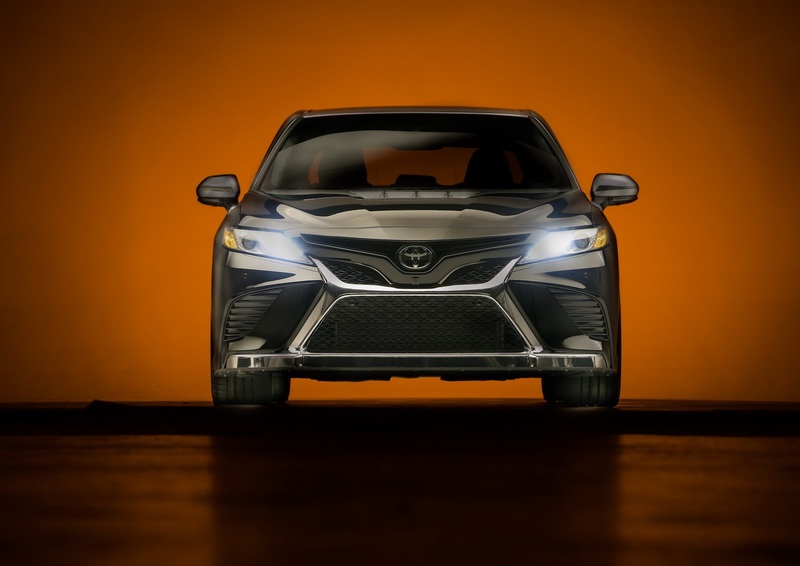 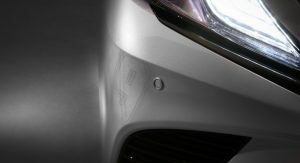 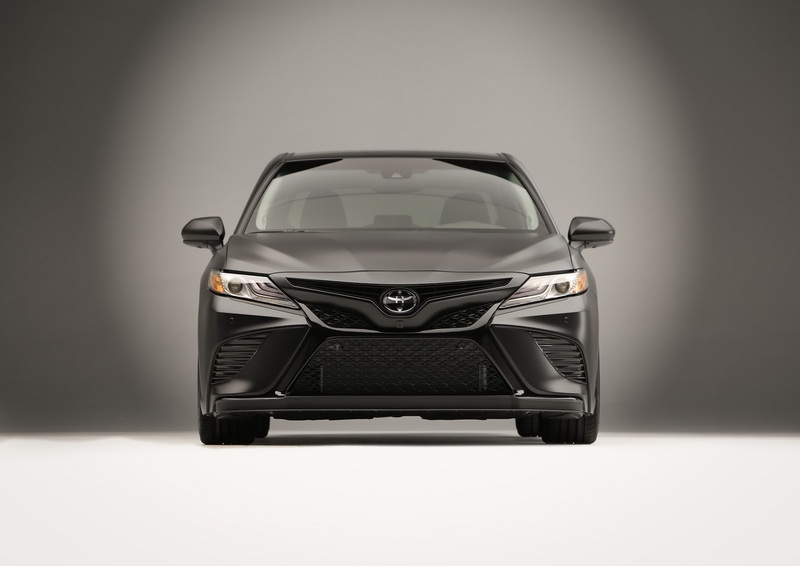 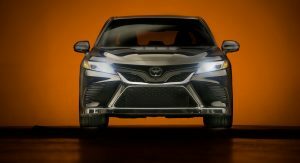 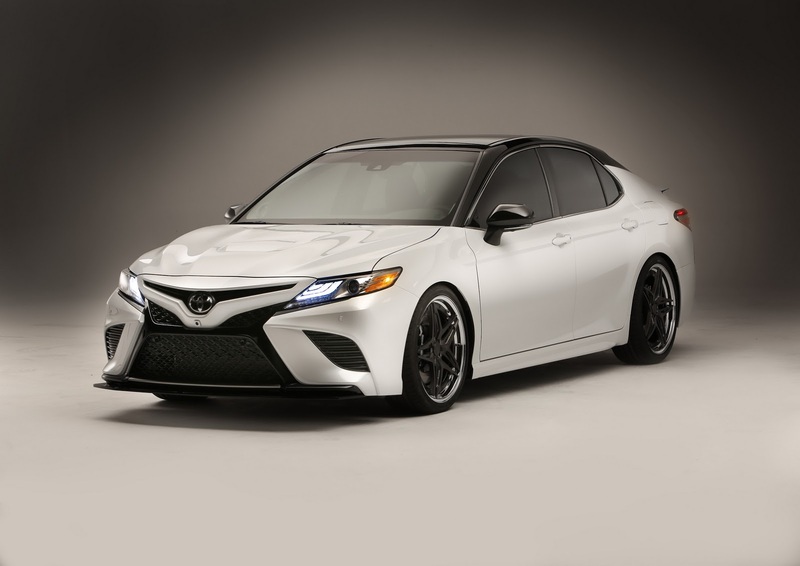 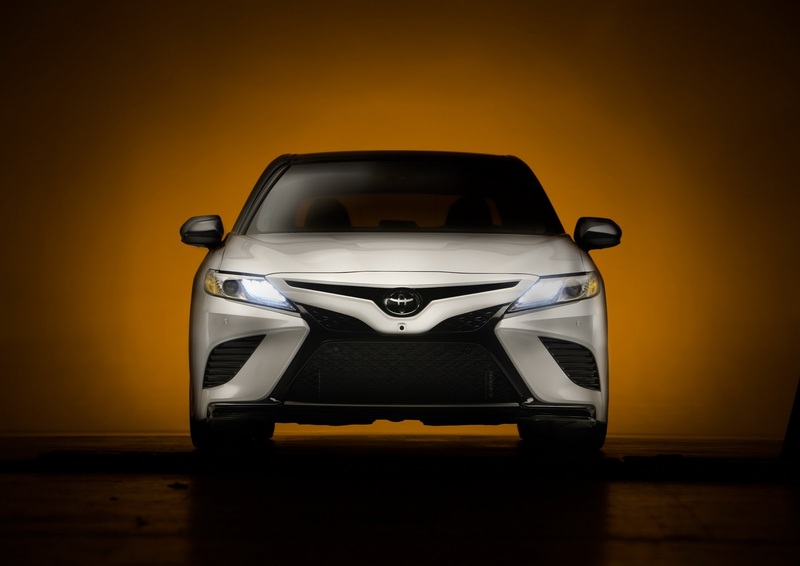 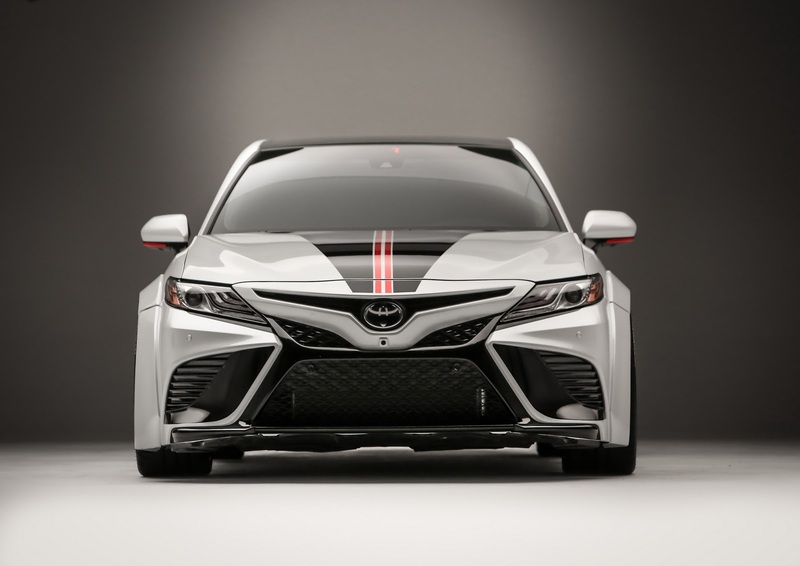 Hamlin’s idea of a sporty Camry is something that would feel at home at Virginia International Raceway, while allowing you to drive it away comfortably after you’re done having fun. 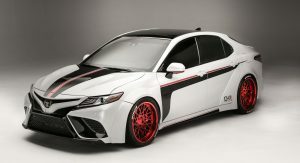 It features a widebody conversion with 3-inch fender flares, big 20×10-inch wheels, a white and black exterior, plus red chrome and black accents inside, to go with the black leather on the Recaro bucket seats. 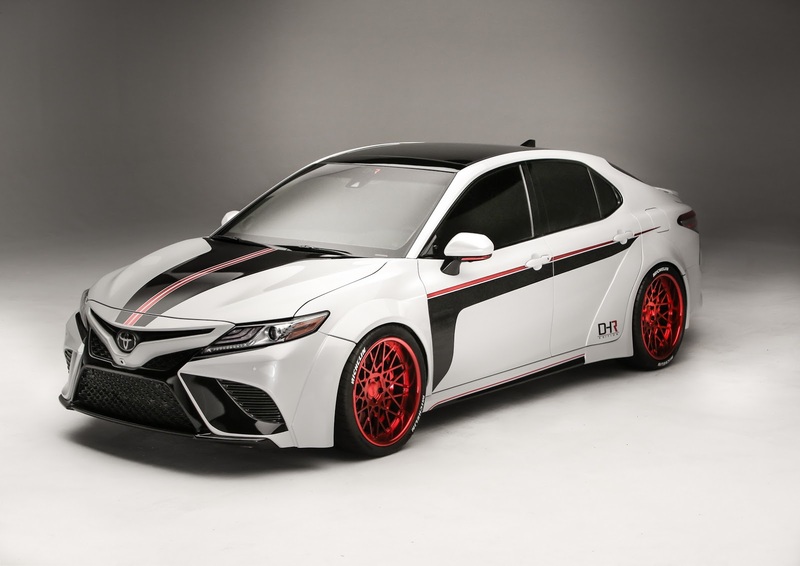 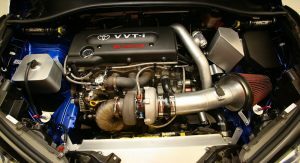 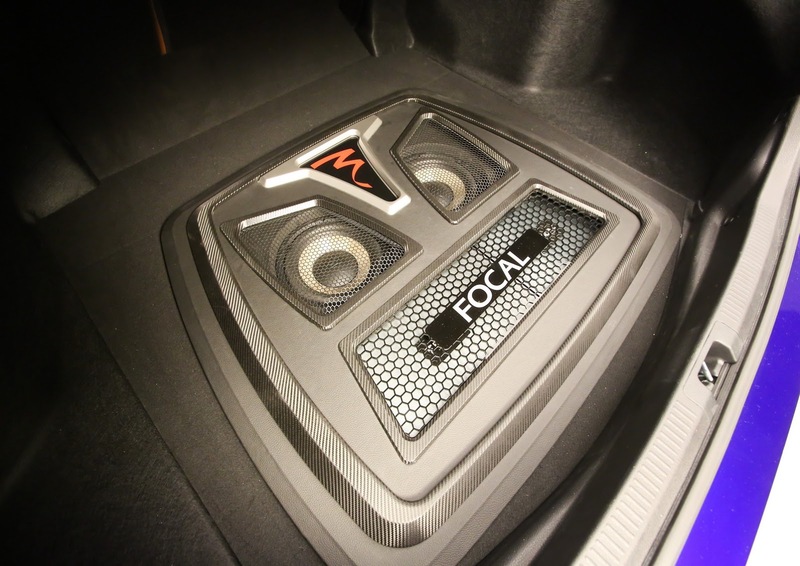 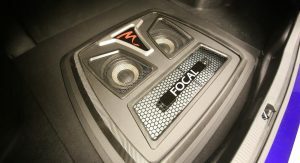 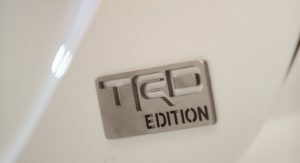 Other mods include an AEM cold air intake, K&N filter, TRD-tuned stainless steel exhaust system, Tein coilover system, custom brakes and a JBL sound system, in case the 3.5-liter V6 doesn’t quite do it for you. 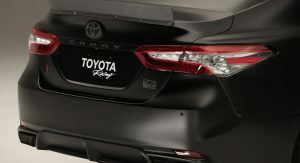 Martin Truex Jr teamed up with Motorsports Technical Center in order to build a road-going version of his #78 Camry Cup Car. 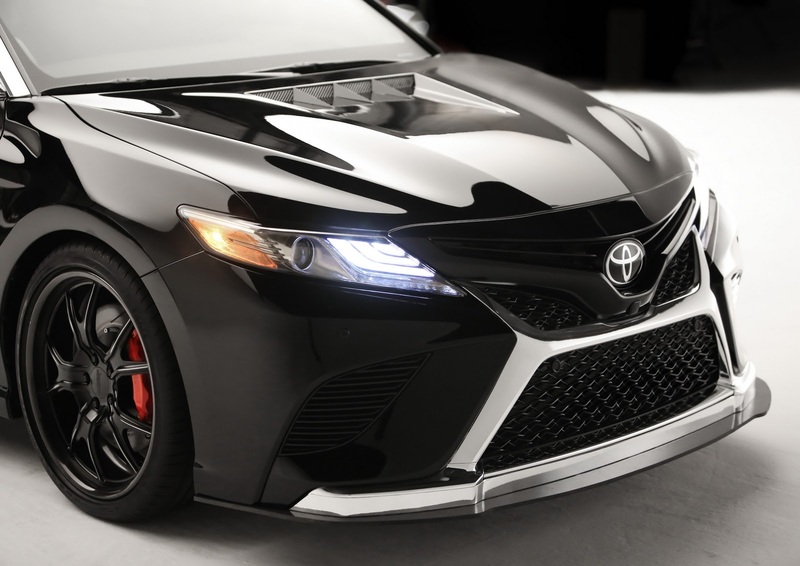 Finding the right shade of black for the exterior apparently took six tries, whereas all bits of chrome trim were treated with cobalt Cerakote as all surfaces then received a matte clear coat. 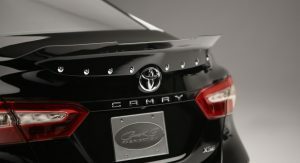 The design is similar to Busch’s Camry, but a little more rugged. 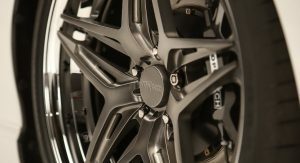 Even the wheels were forged as replicas of the wheels on Truex Jr’s Cup Car. 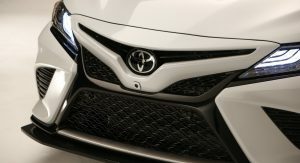 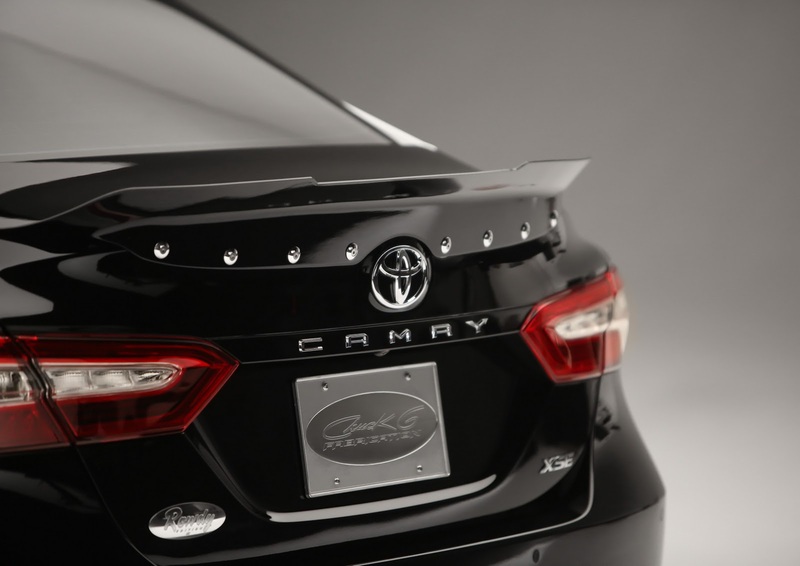 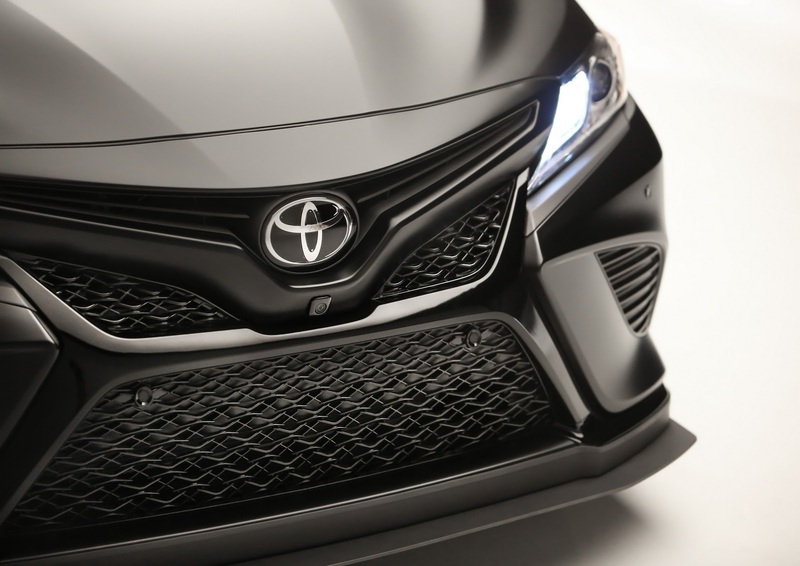 Furthermore, a custom front splitter and rear lip spoiler were created to give this Camry additional downforce, whether it was for the highway or the racetrack. 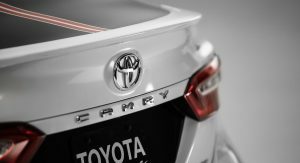 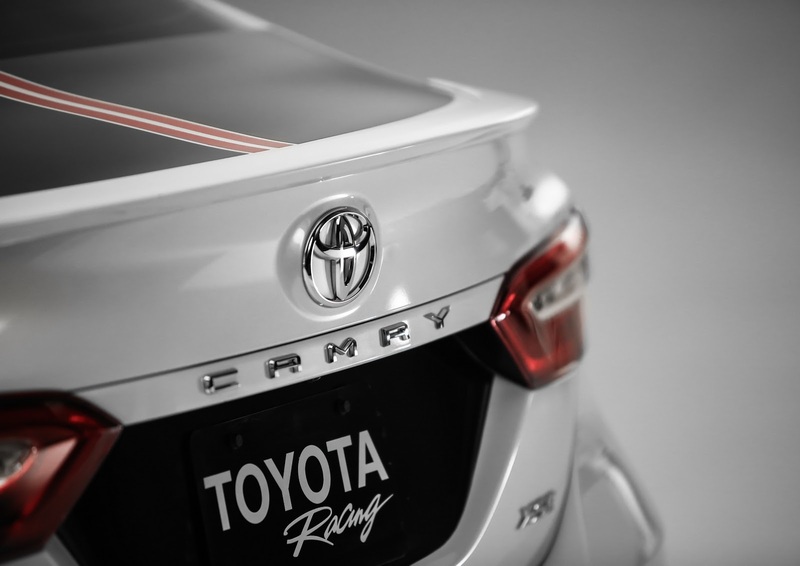 2015 NASCAR Xfinity Series Rookie of the Year Daniel Suarez wanted to create the “ultimate street-friendly yet track-ready Camry”, something both elegant as well as sporty. 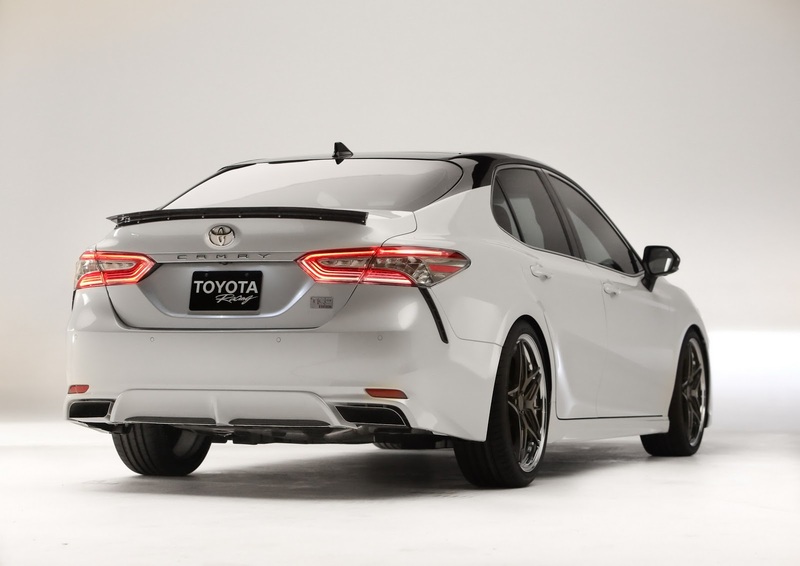 As you can see, the dual-tone color scheme features a pearl-white body with contrasting black roof and A-pillars. 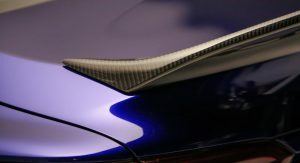 Carbon fiber components were also strategically placed in order to drop some weight. 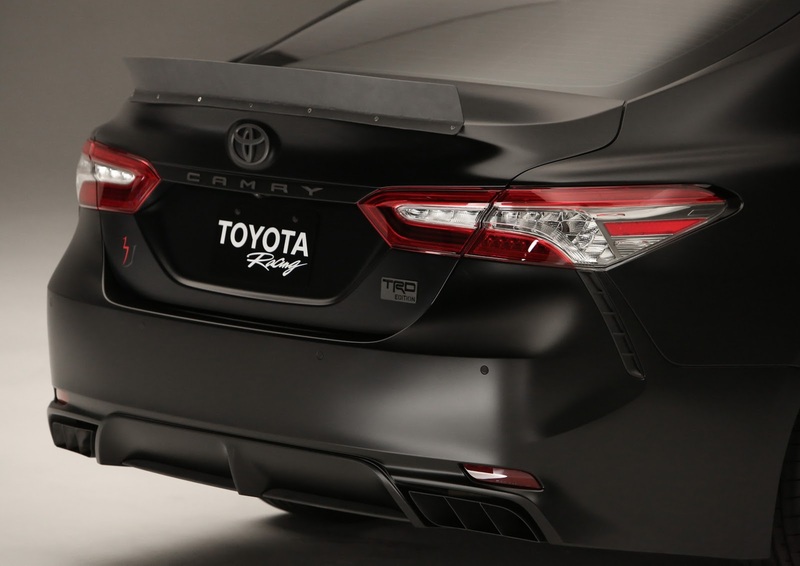 Similarly to Truex Jr, Suarez also added a front splitter and a rear wing in order to produce usable downforce. 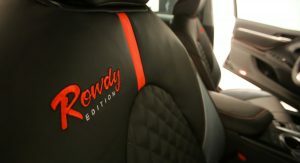 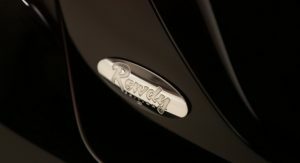 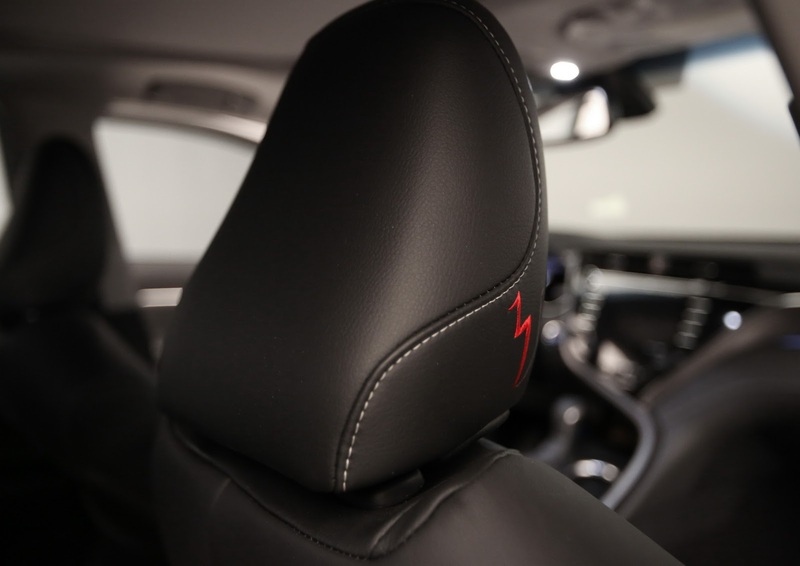 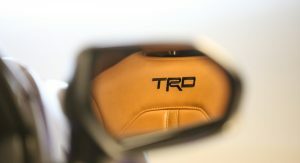 He then went with a custom hood with aluminum ductwork, and leather upholstery for the interior, featuring the driver’s signature stitched in red. 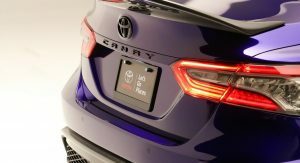 TV analyst Rutledge Wood’s take on the 2018 Camry might be the most attention-grabbing here. 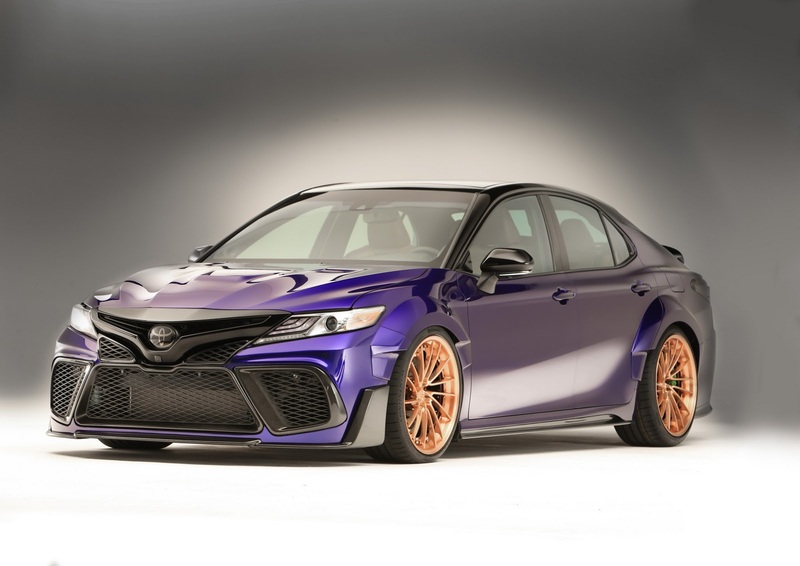 He teamed up with Real Time Automotive Solutions in order to create this widebody road-going Camry, inspired by the aerospace industry. 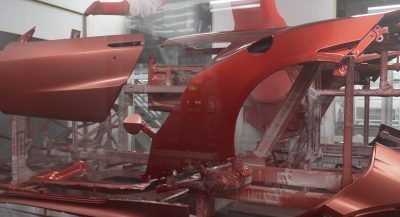 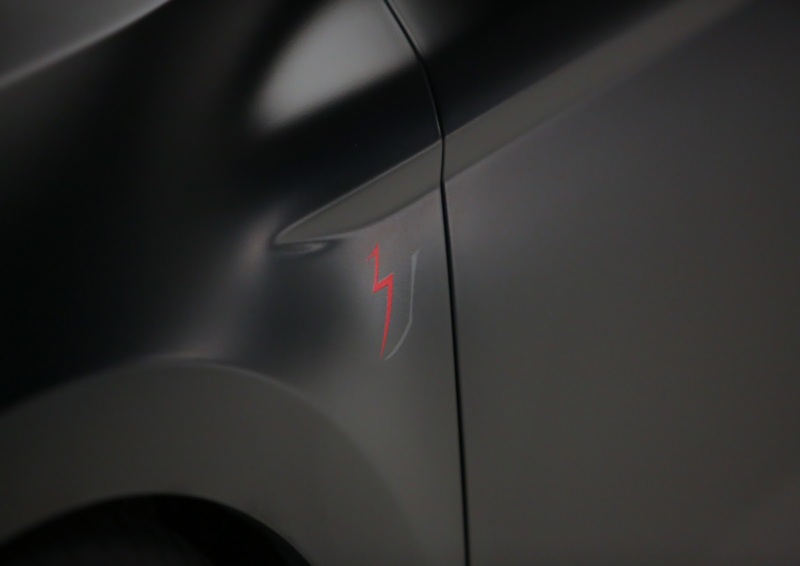 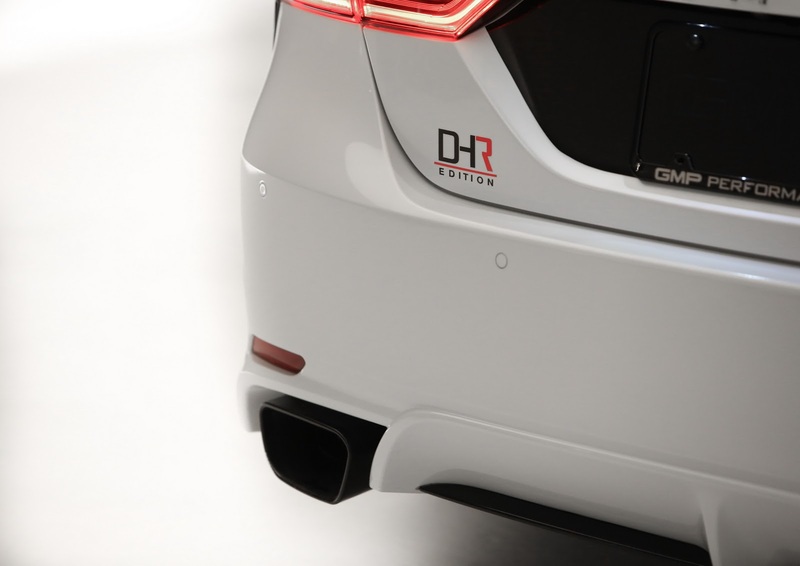 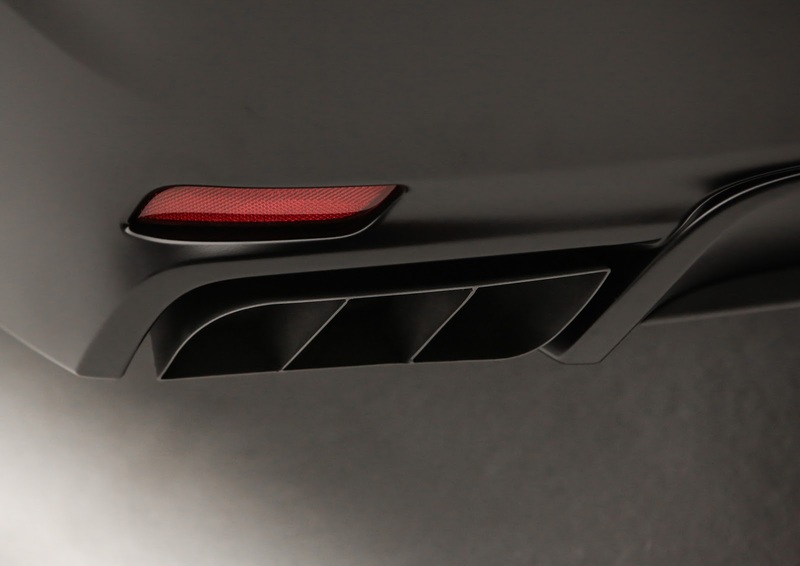 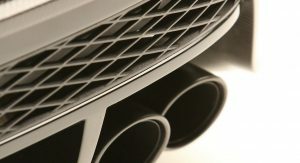 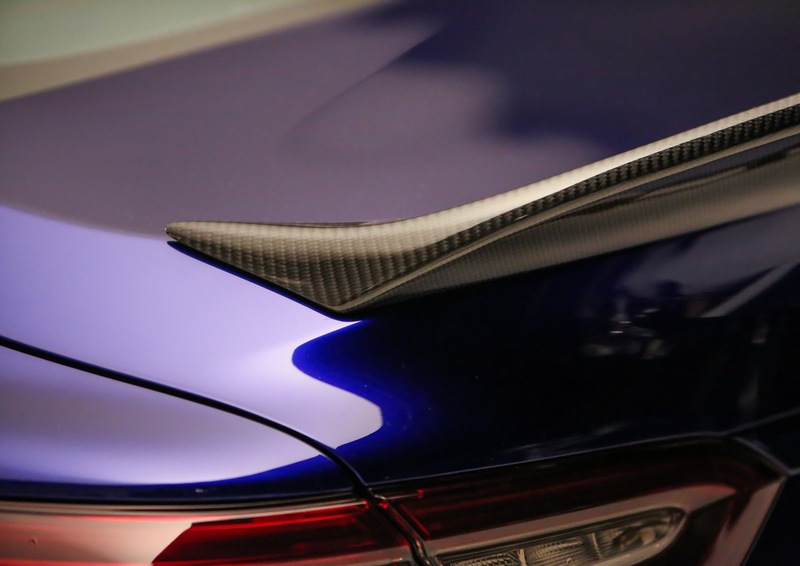 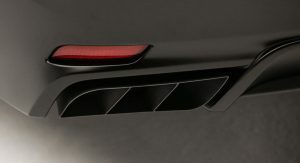 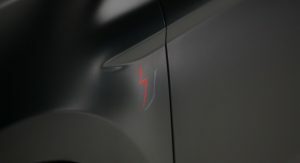 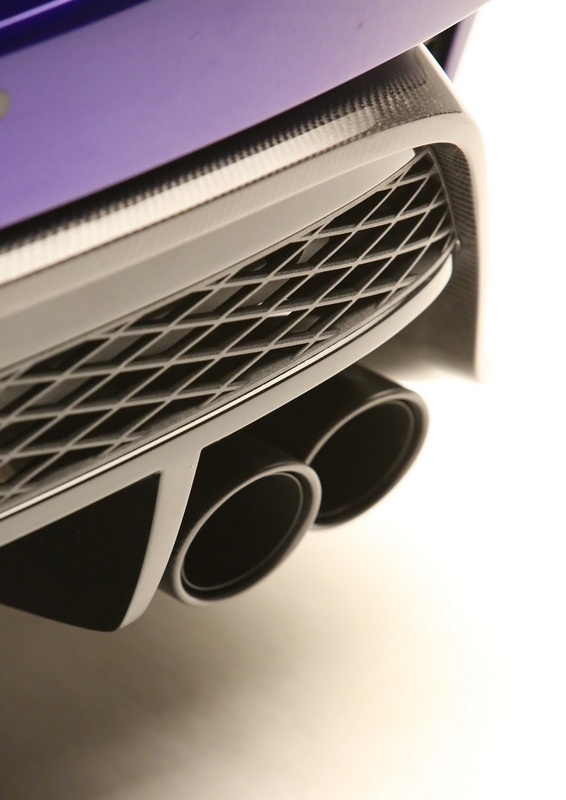 The car’s custom body panels were created using 3D-printing technology, making the hood, front and rear bumpers, rocker panels, rear diffuser and headlight buckets completely unique to this car. 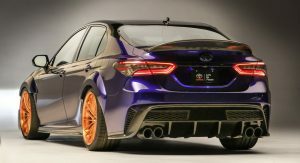 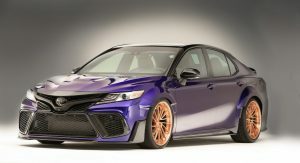 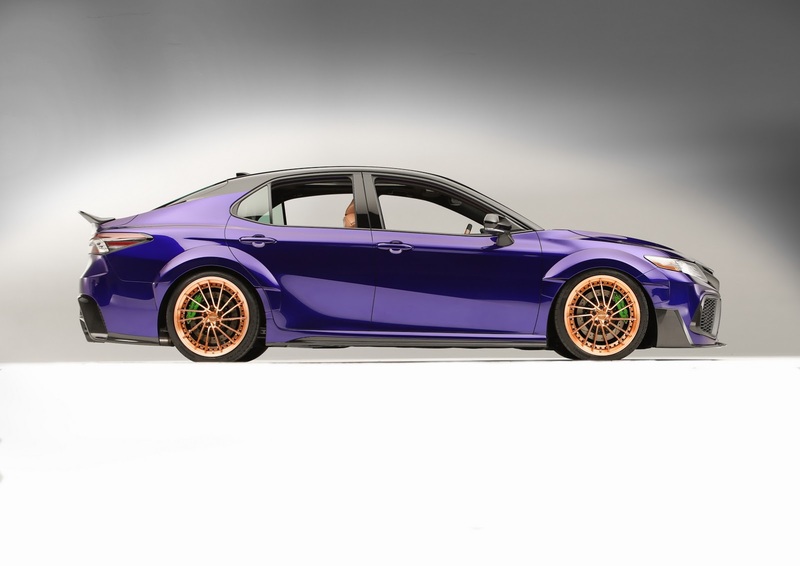 Once the multi-piece widebody kit went on, the car was painted with a custom color named “Blurple” and lowered on top of the 20″ Rotiform alloy wheels. 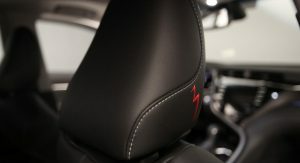 As for the interior, it was re-upholstered in “baseball glove” leather with contrasting stitching. 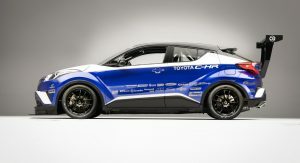 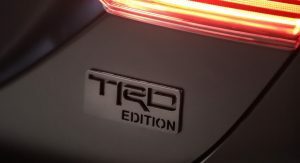 I’m guessing the C-HR R-Tuned is AWD, judged by the 2.9s on 0-60mph time? 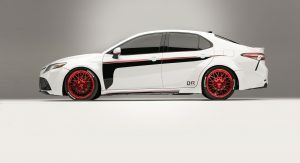 Now that bodykit make sense! 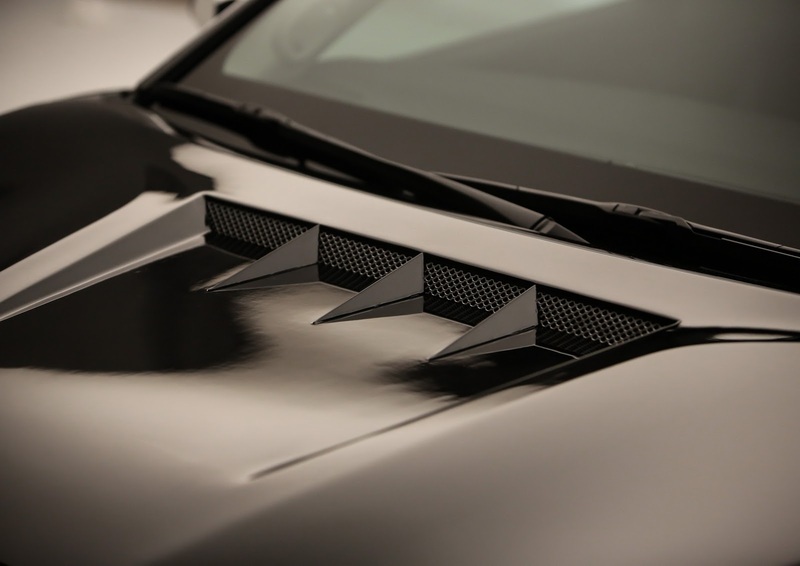 Because it has 600 horsepower to dealt with! 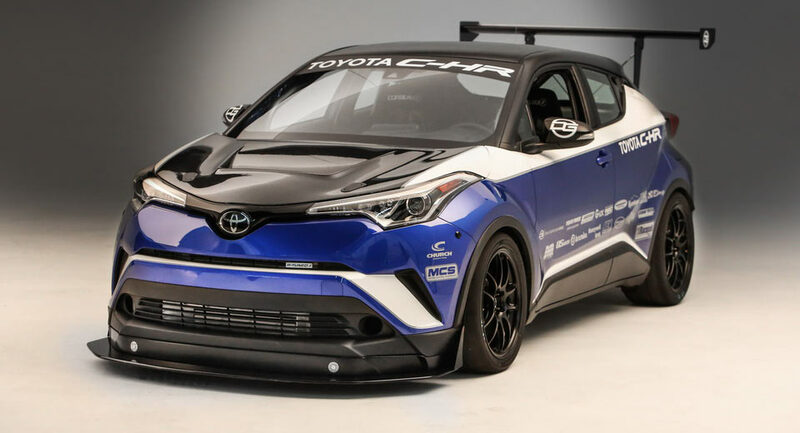 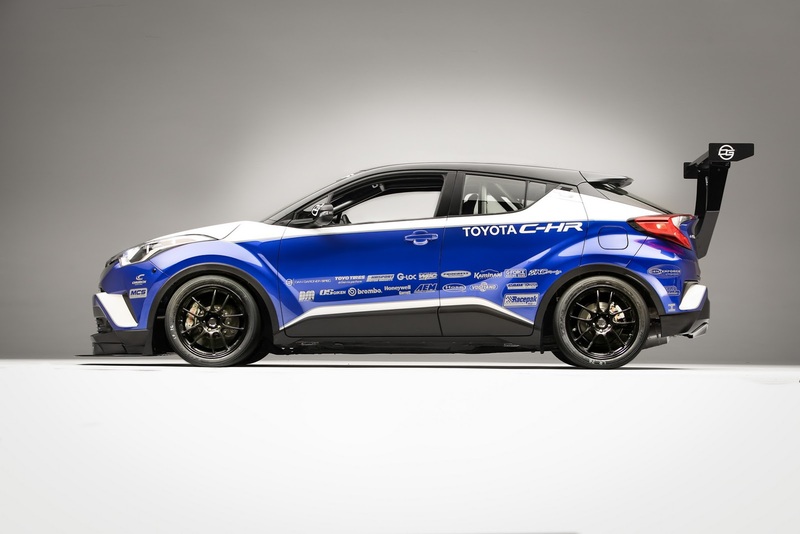 It looks like one of those VLN C-HR that Gazoo Racing use before C-HR launch, I thought this is just a replica with Hybrid engine or something useless! 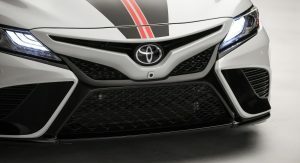 Judged by the engine cover, that’s a 2AZ out from older Camry? 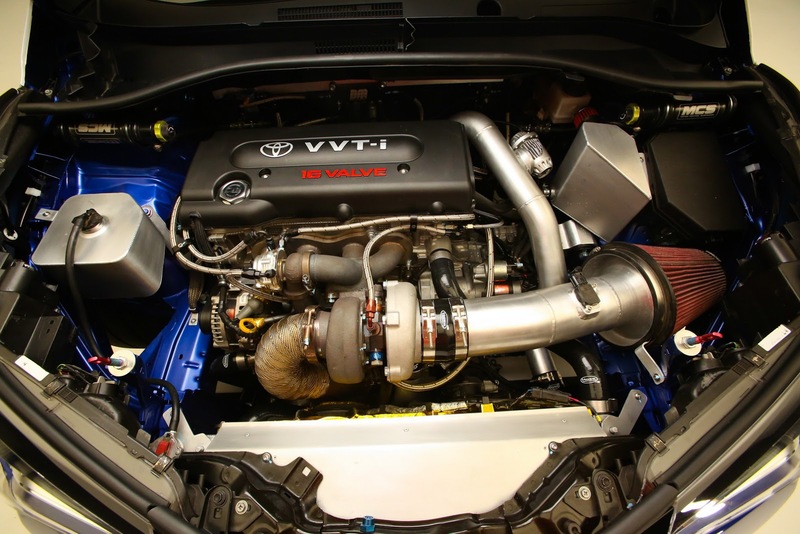 The engine is indeed a heavily boosted 2AZ-FE, while the transmission is E-series 5-speed manual transmission from Toyota, I’m guessing E153 out from Camry V6 & SW20 MR-2 Turbo. 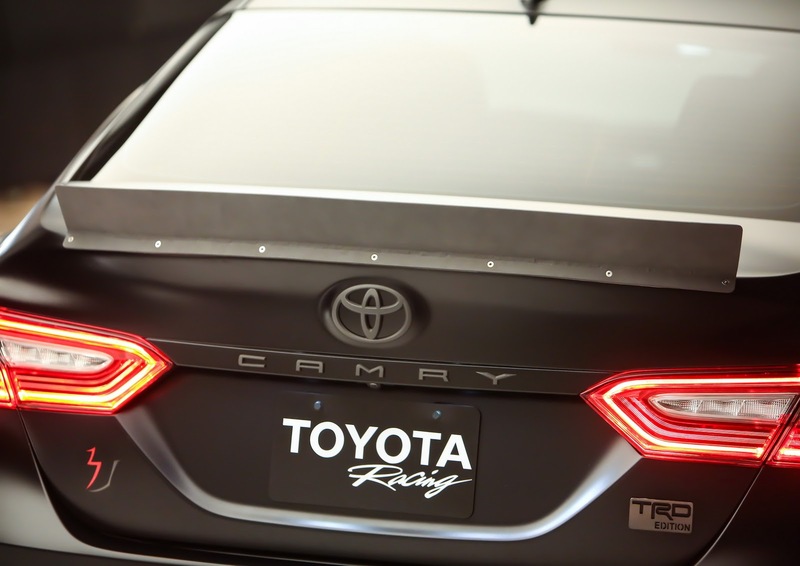 As for the Camry(s), Toyota Camry by Rutledge Wood simply dominated it (to me). 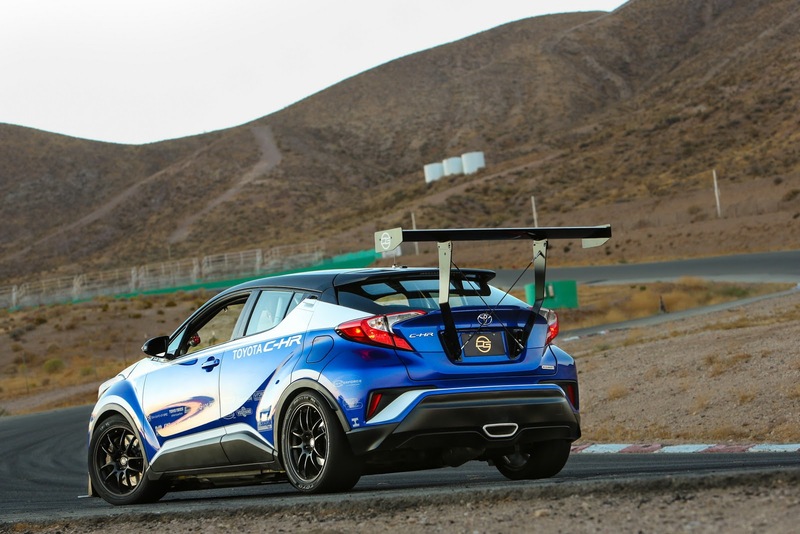 That C-HR is ludicrous in a great way. 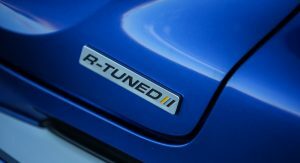 Reminds me of when Nissan put the GTR running gear in the Juke. 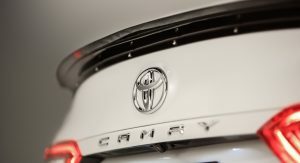 The Camrys? 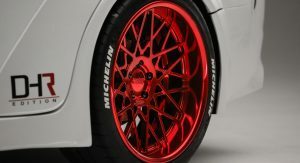 I dont know, none of those do anything for me. 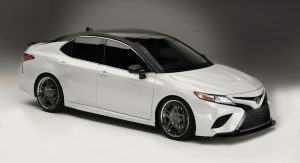 The day that mods push my Camry price up to or over $40k I’d rather just have a different car altogether. 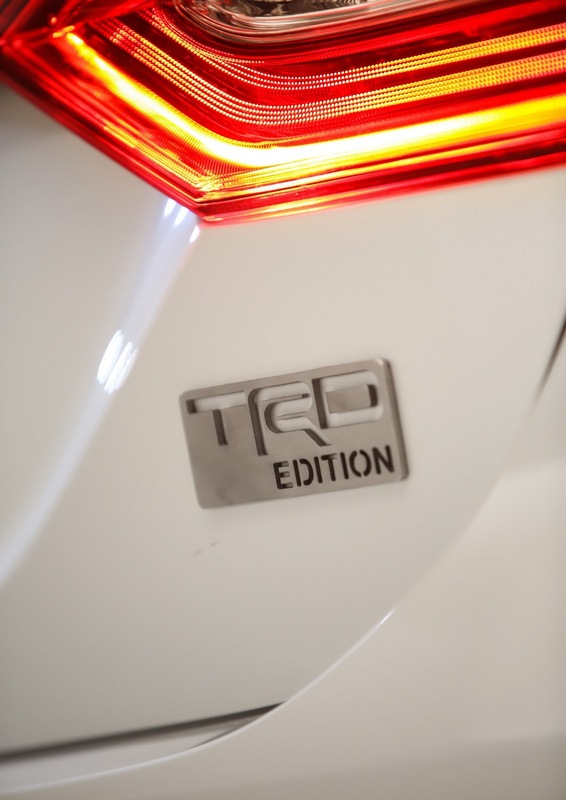 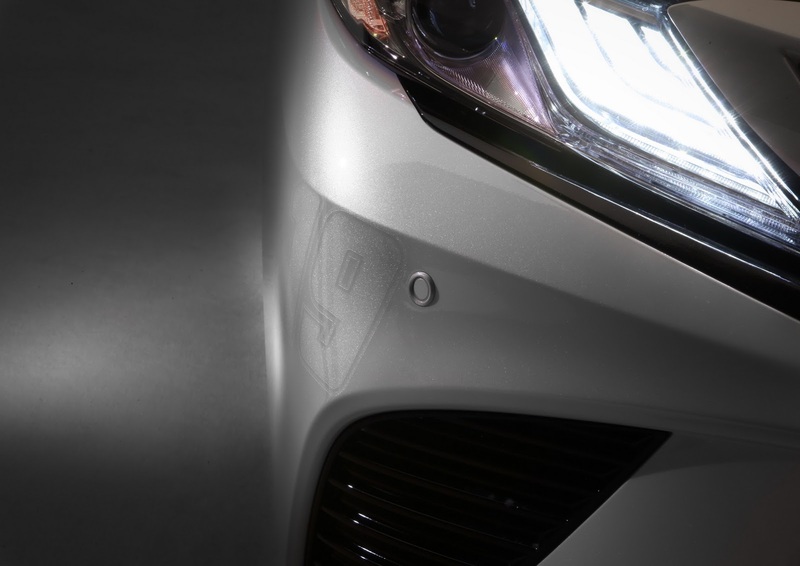 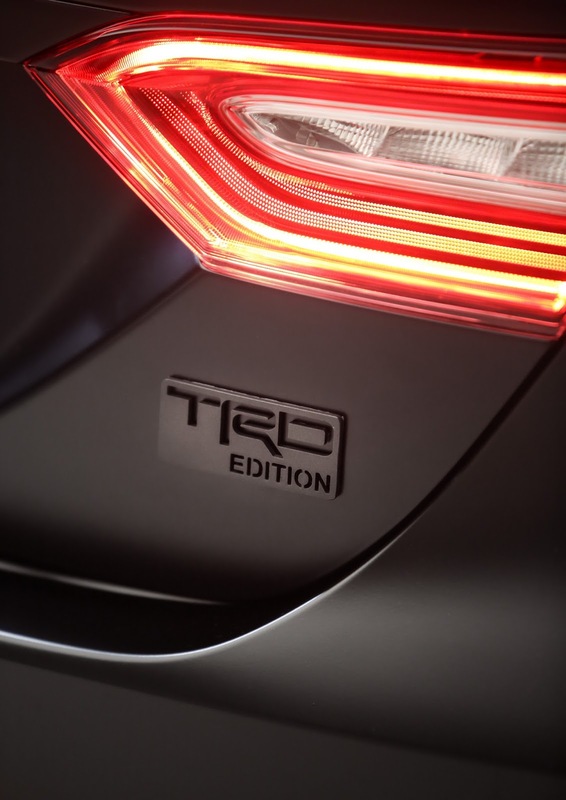 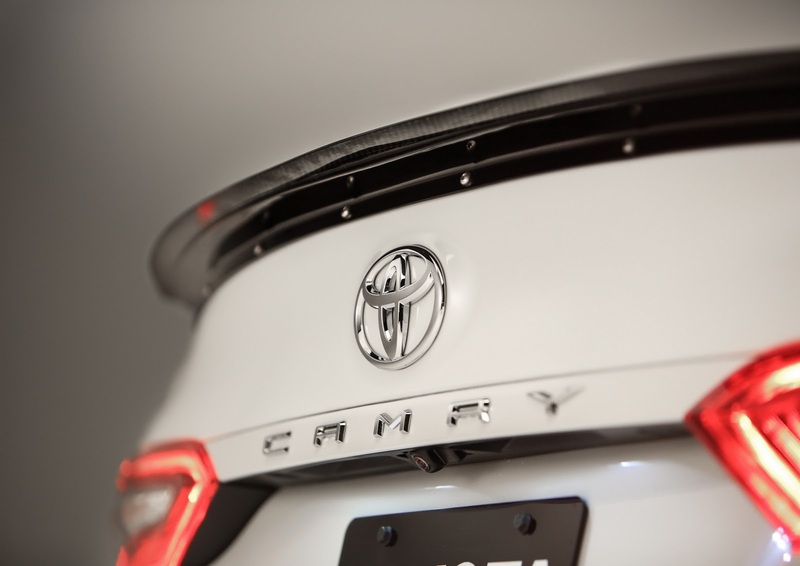 I was actually looking forward to seeing what Toyota did with the new Camry…….Was being the operative word. 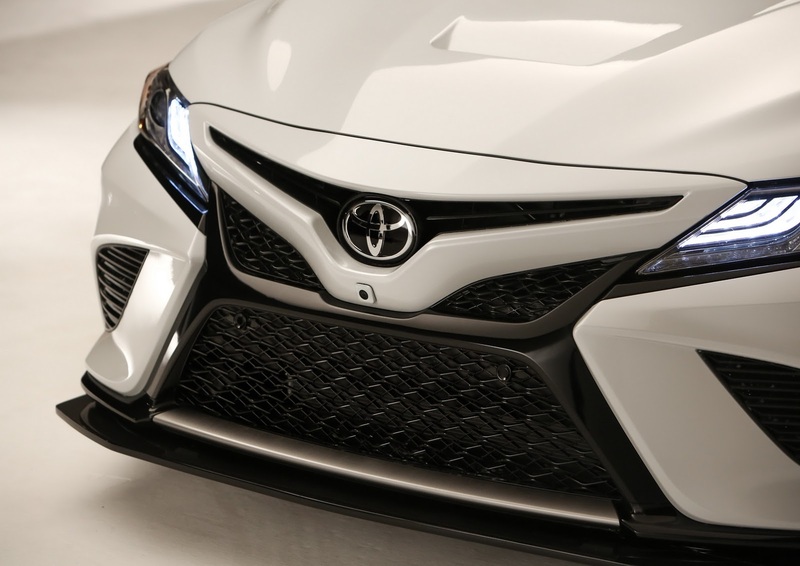 SEMA would’ve been a good place for Toyota to reveal a Supra concept, or possibly another version of the FT-1. 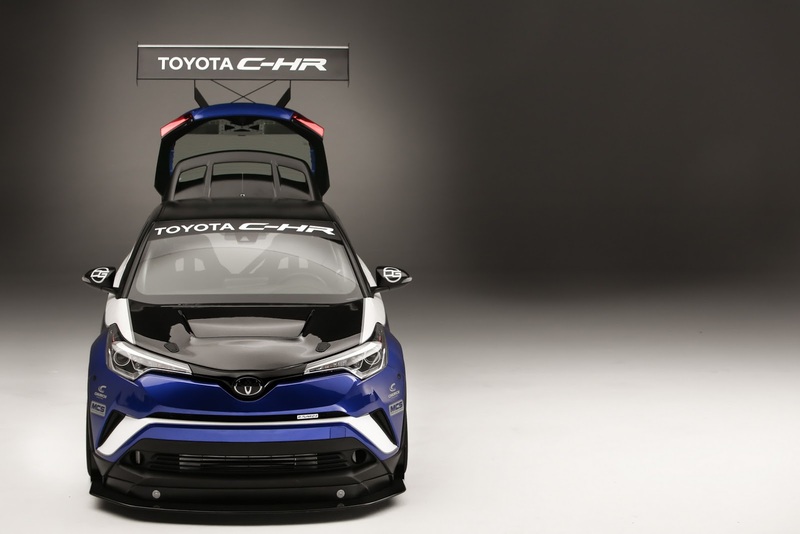 Or a reasonably powerful C-HR production car. 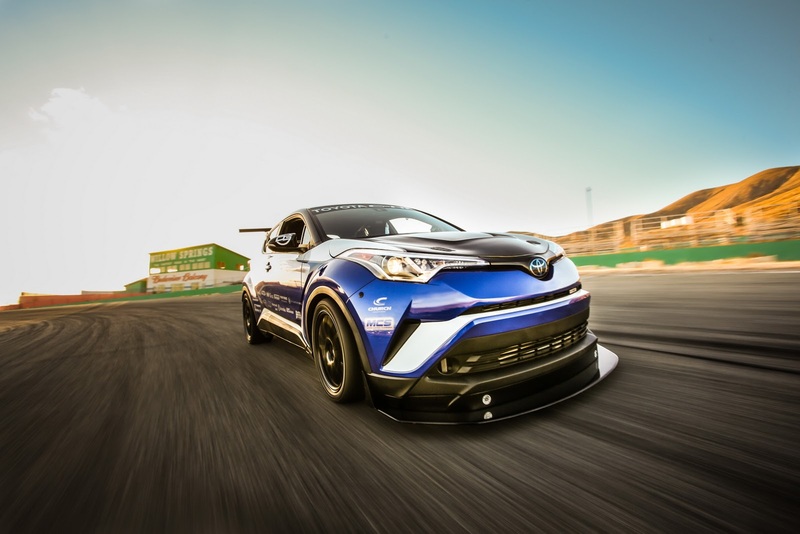 That is one mean C-HR. 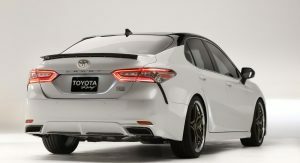 And the best part is that is has the power to back up its looks. 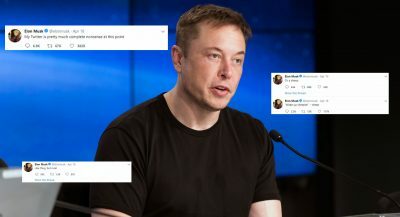 I call that a win. 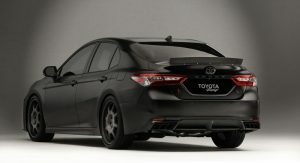 I’m vibing on the Denny Hamlin version (red wheels). 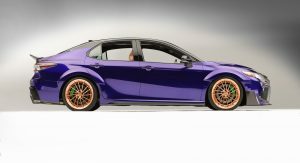 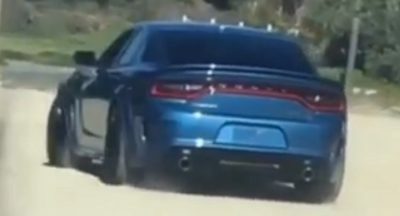 Oddly, it has a bit of a WRX feel from the rear quarter view. 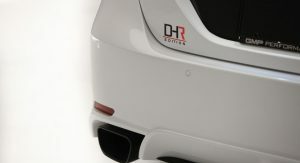 Hey, it might have been nice to have mentioned all the shops these guys teamed up with. 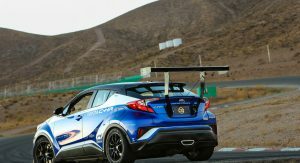 You’re missing Suarez, who also worked with MTC I believe, and Hamlin, who worked with Stephen Klitzsch and GMP Performance.